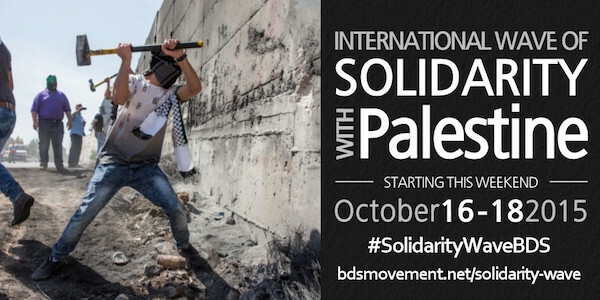 Solidarity with the Palestinian popular resistance! Cut all military ties with Israel! The Israeli air force has been removed from the list of armed forces now taking part in multinational military training exercises on the Italian island of Sardinia following a campaign by anti-war activists. During Israel’s deadly 51-day bombing campaign on Gaza in July and August, anti-militarization and Palestine solidarity groups mobilized against the military drills in general, and Israel’s participation in particular. 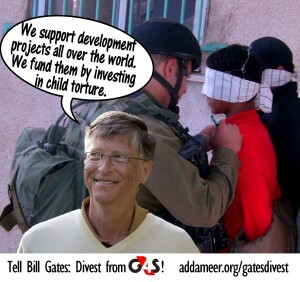 British private security company G4S helps the Israeli government to run prisons at which Palestinian political prisoners are detained. 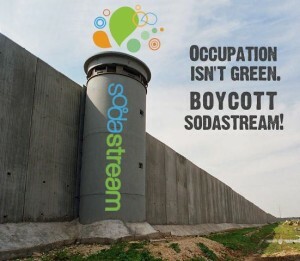 Scarlett Johansson has today announced that she is resigning her role as Oxfam ambassador following a huge outcry over her role as the public face of a ad campaign by SodaStream, an Israeli company that based in an illegal Israeli settlement. Occupied Palestine, January 27 - The Palestinian Boycott, Divestment and Sanctions National Committee (BNC), the largest coalition in Palestinian civil society, including trade unions, political parties, popular committees and NGOs, calls on Oxfam to immediately sever ties with Hollywood actor Scarlett Johansson over her vocal support for illegal Israeli settlements on occupied Palestinian territory. 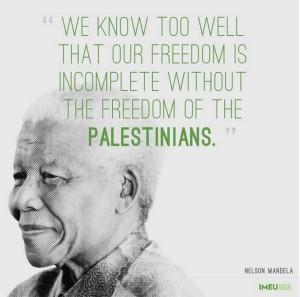 We mourn the passing of Nelson Mandela.